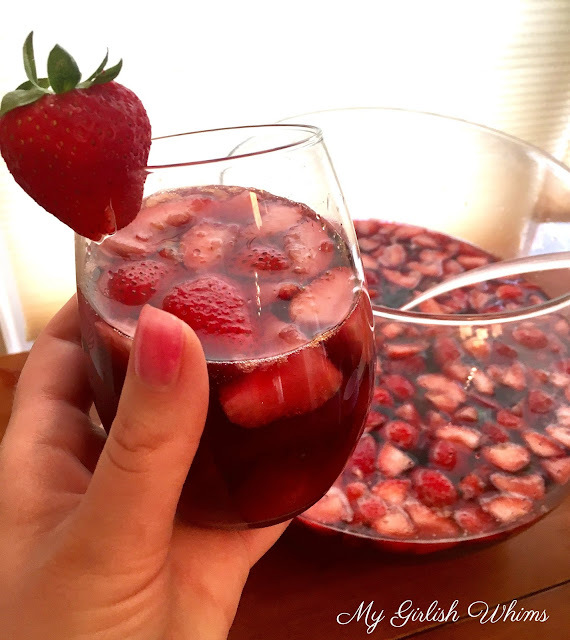 This Sangria has become my go-to party drink: it serves a crowd, packs a boozy punch, and is super easy to prepare! This weekend I hosted an impromptu BBQ at my new place to celebrate the Memorial Day weekend and my boyfriends birthday weekend. It sounded like a good idea when we planned it last minute Saturday night...but then Sunday we had to wake up and clean the whole house and get food and drinks prepped for what could have been 5 or 15 people coming over, we didn't really know how many people would be able to come since we announced it so last minute. Hah! I decided to whip up a batch of my favorite sangria recipe because it's easy to serve to a crowd so if we did get a bunch of people to show up, I would be prepared with a drink for them all! It's not the fanciest recipe but it tastes good and always goes over well at a party. As a bonus: it's not packed with tons of extra sugar like so many mixed drinks typically are! 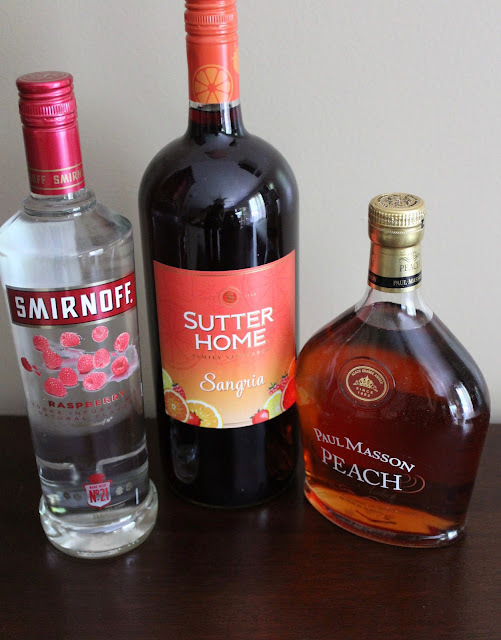 The alcohol you need is any basic sangria wine (I typically use two 750ml bottles) half a bottle of peach brandy and half a bottle of flavored vodka. 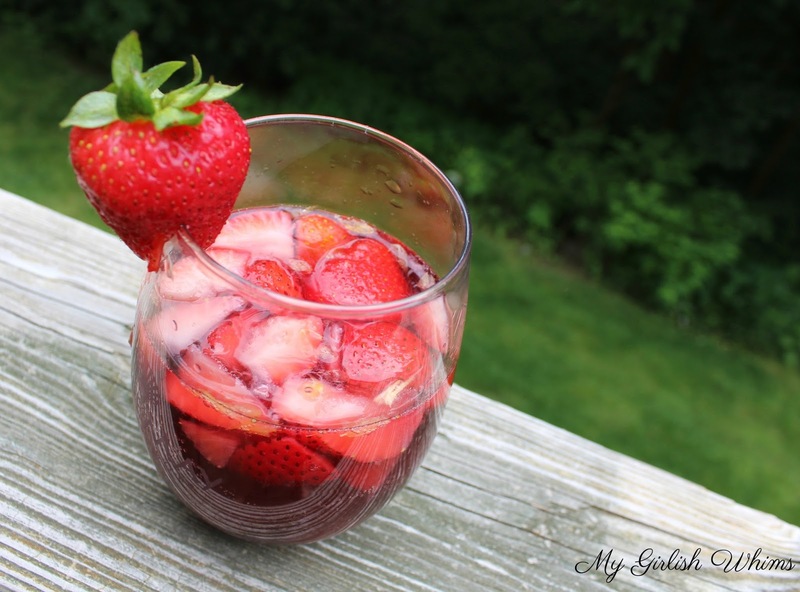 The way to make this sangria taste the absolute BEST though is if you take the time to cut up your fruit and soak it in the brandy and vodka the night before your party. Then the fruit REALLY gets to soak up the alcohol which gives it a fun little punch when you eat the fruit after finishing your glass! You really can use any kind of fruit for this but my go-tos are strawberries, raspberries, apples, oranges, peach slices, blackberries, etc. 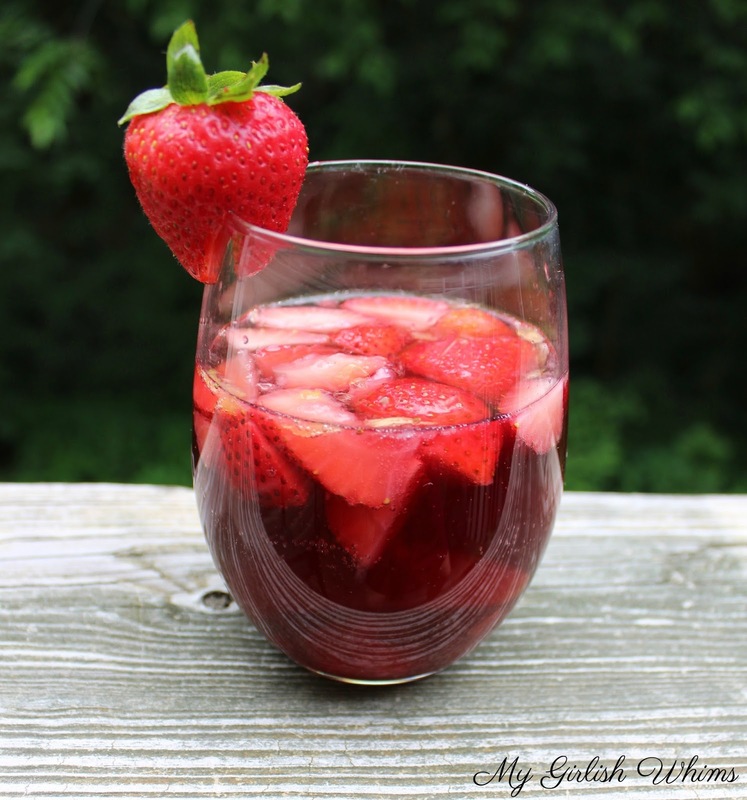 Soaking fruit in alcohol overnight gives this easy sangria recipe an extra boozy kick! 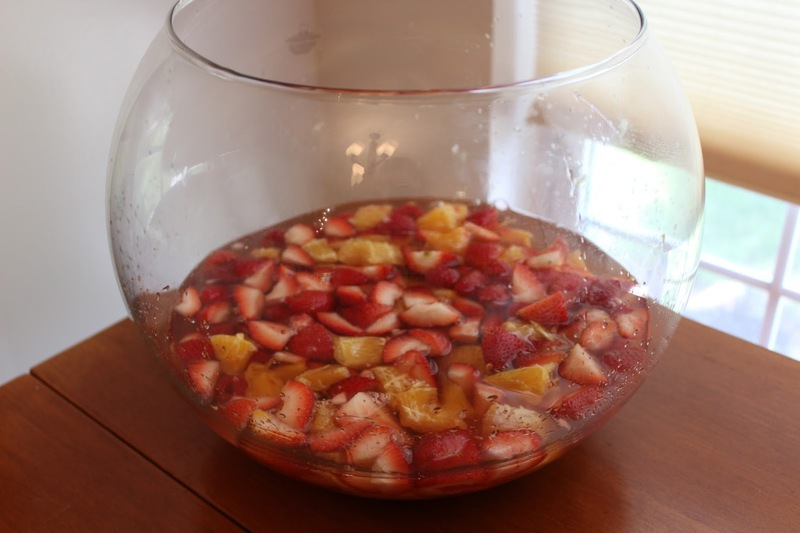 Wash fruit and chop oranges, strawberries and peach slices into small pieces and add into a pitcher with raspberries Pour half a bottle of peach brandy and half a bottle of flavored vodka (I used raspberry flavored) into the pitcher and refrigerate for at least 4 hours, preferably overnight. 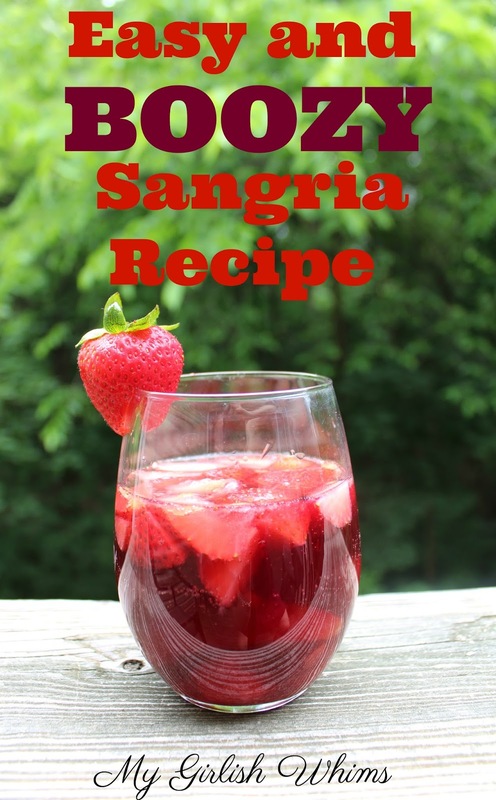 Prior to serving, combine alcohol soaked fruit with two bottles of sangria wine and up to one full bottle of diet sprite.